I hope you’re doing marvellously well! A while back I demoed the free music production app “Stagelight” by Open Labs. 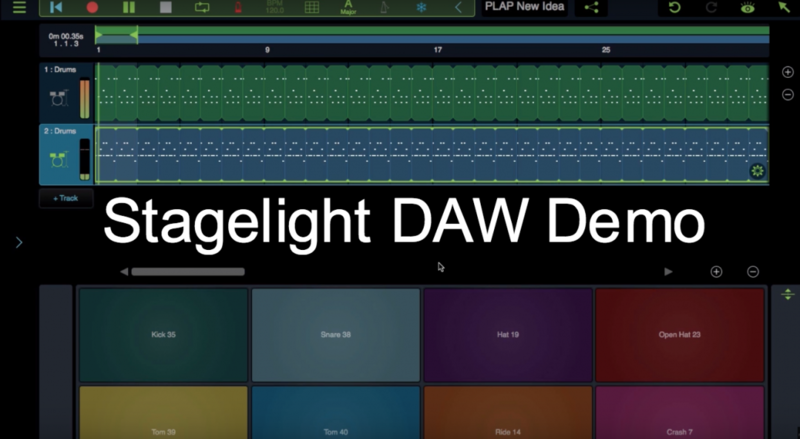 Open Labs have now expanded their line and made it possible to use Stagelight as a standalone DAW for windows and Mac. So I took a few minutes to give it a try: I’m showcasing the workflow of the DAW, building a drum groove, recording some midi synths (which sound pretty cool!) as well as live guitar and bass. I hope you enjoy this demo, I had a lot of fun! If you’d like to try Stagelight for yourself, you can download it for free here. Have You Checked out all of the cool giveaways we’re running at the moment? You can win Genelec Studio Monitors, Tutorial bundles, an Acme Motown D.I., a Rupert Neve D.I. and a lot more!